And unfortunately now that it’s open to a wider audience, most of those new posts are crappy, shallow, self-promotional articles or sales pitches that have very little value. With so many posts and much more noise, it’s harder to find the articles from industry leaders that provide unique perspective and are genuinely insightful. 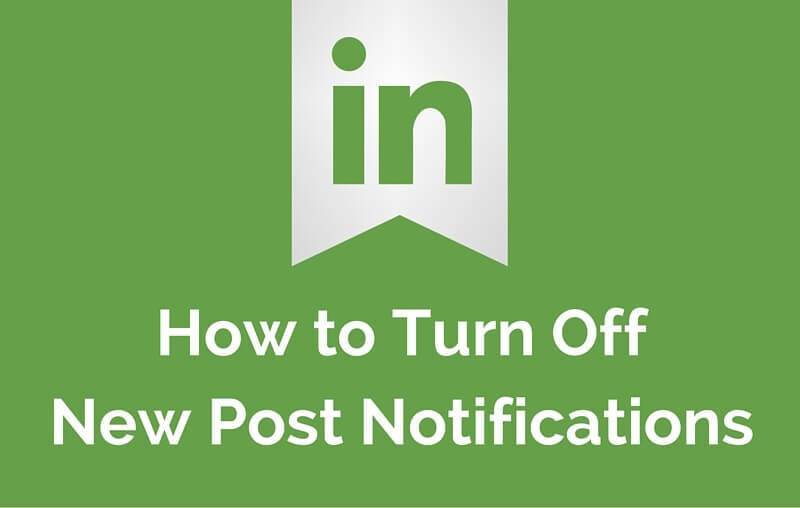 So for those of you that are tired of sifting through all the spam and low-value content, here’s how to turn off new post notifications in LinkedIn. Move your cursor over the Flag icon at the top right of your homepage. Move your cursor over any of the notifications that appear in the drop-down. Click the “X” in the top right of the notification box. 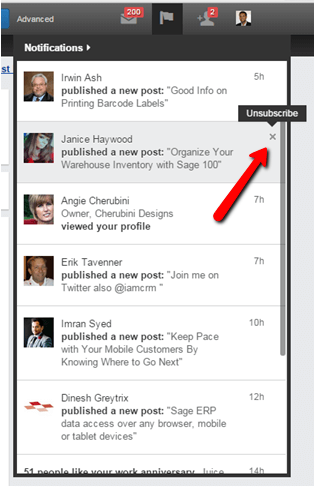 It’s worth mentioning that unsubscribing from new post notifications is NOT the same as unfollowing a member or removing a LinkedIn connection. You’re still connected with him or her and will still see their LinkedIn “shares” and status updates in your main feed on LinkedIn – you’re just muting notifications of their new posts on the “LinkedIn Pulse” publishing platform.